Friends, an exciting accomplishment for the developers of the Unitarian Universalist region in Second Life known as UUTopia. 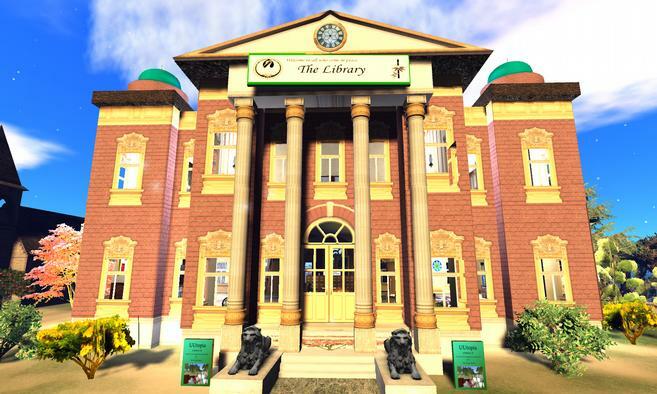 This last week the Library of World Religions in UUTopia was added to the top of the Second Life Spirituality & Belief destination guide! In addition to the library, the UUTopia region also features a sanctuary where the First Unitarian Universalist Congregation of Second Life holds regular services. See www.fuucsl.org. I’ve attended a number of services this month as I prepared to lead a workshop on social media, technology and the future of UU faith formation. I was excited to discover that these services are attended by people from across the world, including those using language translation tools. There are also regular participants who attend services in Second Life due to accessibility issues. In terms of Unitarian Universalist outreach and digital ministry, Unitarian Universalism isn’t just on the map, we’re at the top of the destination guide. Well done to my new UU friends and colleagues in Second Life! Second Life is free to join and explore. Money is only needed to buy land and purchase virtual goods. Learn more at secondlife.com. Search for more Unitarian Universalist destinations in Second Life.